Presidential residence embezzlement case defendant to stay detained till late December | Russian Legal Information Agency (RAPSI). 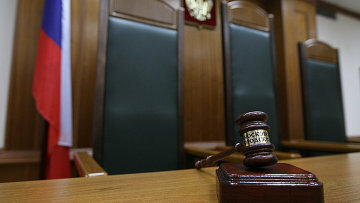 MOSCOW, November 8 (RAPSI) – The Moscow City Court on Thursday upheld extension of detention for the state-run company Atecks’ ex-chief Andrey Kaminov charged with embezzlement of over one billion rubles ($15 million) during construction and reconstruction of the presidential residence in Novo-Ogaryevo (Moscow region), the court’s press service told RAPSI. He will stay in jail until December 21. In August, Kaminov, his former deputy Stanislav Kyuner and ex-head of Stroyfacade company Dmitry Torchinsky were presented with final charges. According to investigators, the defendants have organized a criminal group to commit large-scale embezzlement. Investigators believe that the alleged criminals embezzled state funds allocated for the execution of various construction projects of federal importance. Damage caused is estimated at around 225 million rubles (about $3.5 million) and was later raised up to over 1.3 billion rubles ($20 million). Kaminov has pleaded not guilty. 17:35 08/11/2018 The Moscow City Court on Thursday upheld extension of detention for the state-run company Atecks’ ex-chief Andrey Kaminov charged with embezzlement of over one billion rubles ($15 million) during construction and reconstruction of the presidential residence in Novo-Ogaryevo (Moscow region).